If you have been reading my blog for a hot minute you’ll know that while I adore nice things, I am crazy about saving money. I am a woman obsessed with sales and rarely pay full price for anything. Today I’m sharing how I keep my holiday shopping costs down without sacrificing the things on my list. My secret weapon? 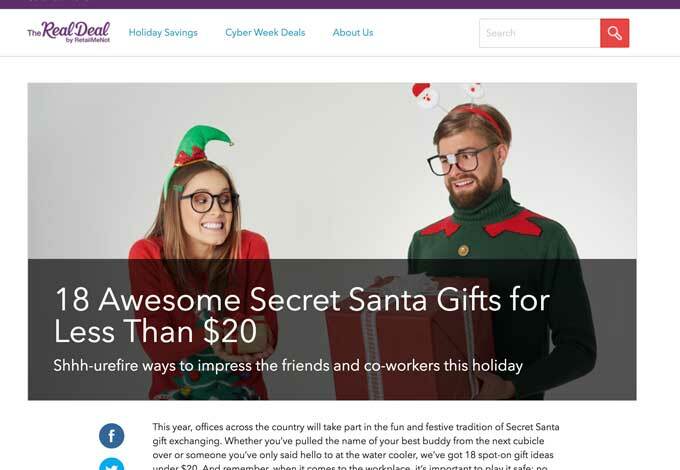 RetailMeNot! 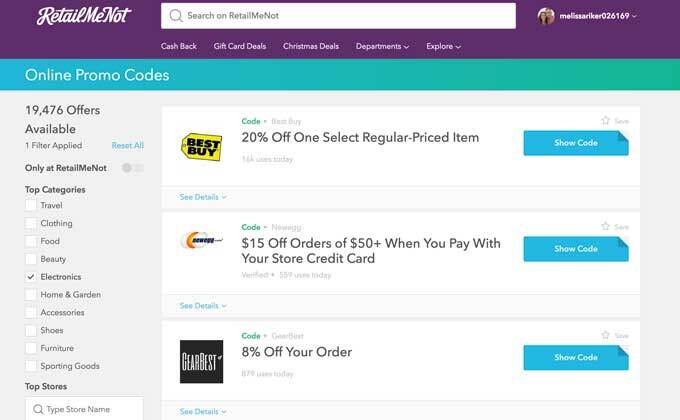 RetailMeNot has been the king of coupon and promo codes for years! I always search for coupons before making a purchase online, and they are my go-to source for reliable coupon codes that actually work (unlike other sites with expired or invalid coupon codes). 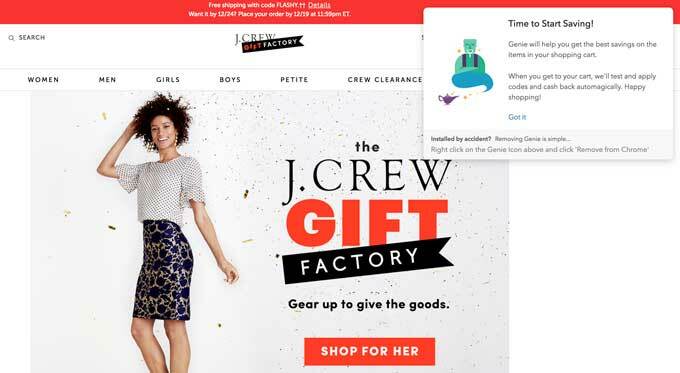 If you use Chrome to browse online you can install RetailMeNot’s Genie Browser Extension. The extension finds, combines, and applies savings automatically for you as you shop so you don’t have to search for coupon codes manually. It is a serious time saver for deal finding! See that little guy pop up in the top right corner of my screen below? That’s my genie extension letting me know there are savings to be had at the store I pulled up! In addition to coupon codes RetailMeNot also offers cash back on some purchases! When I was shopping at J Crew Factory recently not only did I get a coupon code but it also gave me $10 cash back on purchases over $80! The cash back can be up to $30 and is applied to your account and sent via Paypal 15-30 days after your purchase, how cool is that?? There are a ton of stores with Cash Back Offers, so you can save big time doing your shopping through RetailMeNot! Just by having the Genie installed and taking advantage of the coupon and cash back I saved a whopping $65, about 40% of my total. If I hadn’t used it I might as well have thrown my money out the door! If you’re not sure exactly what you want to buy you can search for the best deals as well. 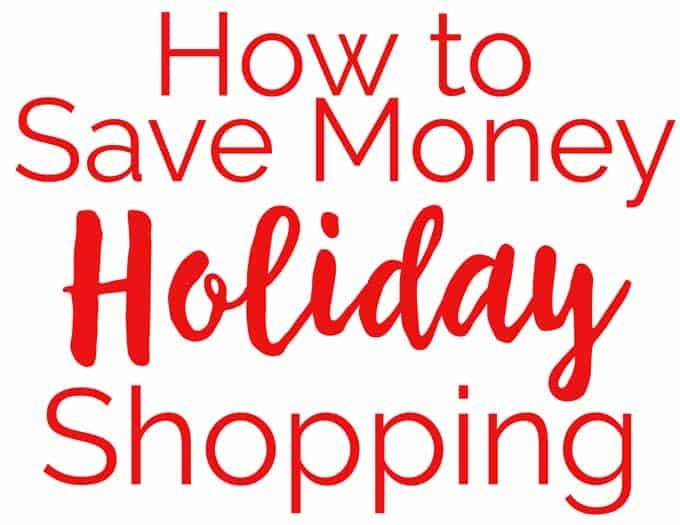 Go to the RetailMeNot website and Blog to see their picks for the biggest savings and gift guides to help you find the perfect thing to add to your list. It’s like Black Friday everyday! Get Deals When Shopping in Person too! I had no idea until recently that you can use RetailMeNot to get awesome deals when shopping in person too. Simply download the RetailMeNot app on your phone and it will alert you when there are deals nearby that you can take advantage of! You can use the coupons in the store right from the app on your phone! So there you have it, my secret is out! If you hate wasting money as much as I do be sure you are shopping with RetailMeNot and not leaving savings behind! Then, share your deals online using the hashtag #DealBrag! Also try Ebates, they send you the check in the mail . I’ll check it out Lorraine! great blog.. thanks for the sharing money saving tips..